Description...Online advertising management system project is developed in asp.net with C# using Ms SQl as a Database Server. Main aim of this project is to develop a software application for advertising agency for organizing different tasks that are carried out in day to day life. Advertising is one of the fast growing and ever green filed where business related work for selling products , advertising through online, television advertising, banner advertising and many works are carried out. 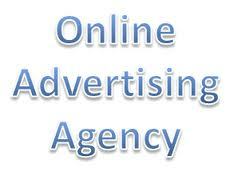 For every advertising company they handle different types of works and they need to always be in contact with customers. In existing system manual method is used to taking orders , maintaining details of customers, advertising orders and maintaining employees information in files. Which is a time taking and not a efficient method for providing better service. In order to solve this problem in this project we propose a software application which will have different modules for taking orders, managing customers information in central database, managing employees information and advertising creating applications. Using a single software application all these operations can be performed which is save time and improve better customer service.